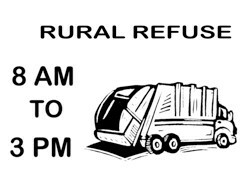 Bartholomew County Residents can also dispose of up to 200 lbs. of their waste at the Petersville Landfill and the Harrison Township Site. Please see the map below for locations.